Sweden’s defense minister says the country’s navy wants a fleet upgrade to boost its ability to hunt foreign submarines. It follows last autumn's massive search for alleged foreign subs in Swedish waters. Defense Minister Peter Hultqvist said Thursday that Sweden will increase defense spending by six billion kronor (US$696 million) between 2016 and 2020, local media reported. His Thursday negotiations with Finance Minister Magdalena Andersson come before the government submits the budget for an April vote. The boost in finances will provide for the modernization of two ships in the Swedish navy, the Gavle and Sundsvall, while a small garrison of 150 soldiers will now be permanent residents on Gotland in the Baltic Sea, an island that sits between Sweden and Latvia. The government also wants to invest in underwater sensors, multi-submarine warfare ships and new helicopters. “We must draw conclusions from underwater operations in Swedish seas this fall,” Hultqvist said, as quoted by Svenska Dagbladet daily. Earlier, Prime Minister Stefan Lofven said there was “conclusive proof” that a foreign submarine was in Stockholm’s archipelago in October, and the Swedish military said there were as many as four subs hiding in the country's waters. When the incident was reported, Swedish media alleged the operation could be a hunt for a “damaged Russian submarine” in the area. Moscow has repeatedly denied the accusations. The chairman of Sweden’s Parliamentary Defence Committee, Allan Widman, has also acknowledged that Sweden’s ability to detect foreign submarines has deteriorated. "Submarine hunting is a priority. We've had incidents showing that it is very important to have an increased capacity for anti-submarine warfare," Hultqvist told Swedish newspaper Dagens Nyheter ahead of a media briefing. 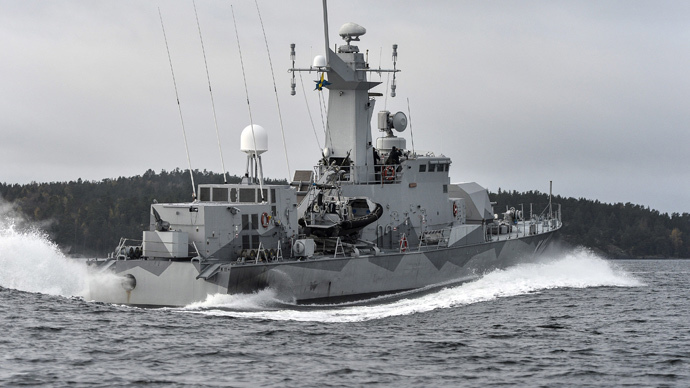 Finance Minister Magdalena Andersson said on Thursday that “we will have to raise taxes to fund this venture.” Even so, critics argue that six billion kronor is not nearly enough to modernize the Swedish navy. The military had originally asked for 16 billion kronor but was offered just two billion, so the current figure is somewhat of a compromise. Stockholm has also suffered a number of delays in the delivery of the naval version of the NHIndustries NH90 helicopter, produced by a European consortium, and was forced to order US helicopters as well. Sweden has historically been neutral. Although it has increased its military cooperation with neighboring Finland and Denmark, it has so far opted out of joining NATO.